This is a picture of me taken the night I graduated from COTA in Tucson. Not the leanest that I’ve ever been, but easily the strongest. 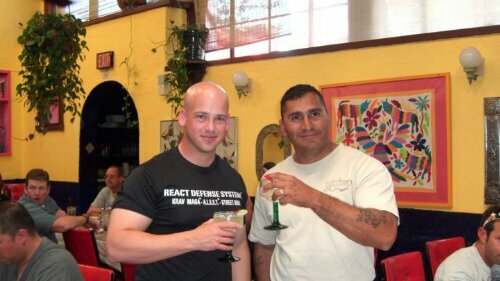 The man on the right was my class instructor, Covarrubias, one of best instructors out there. From the training leading up to the academy, to the training in Tucson and at home on my weekends I was definitely in my best shape at this time. I would like to get into even better condition this time and manage to maintain it, in spite of all the stress in my life.